I've had such an overwhelming response to my Halloween home tour this week that I wanted to keep the holiday fun going. Halloween is the best, and there is so much room for creativity, especially when it comes to flowers. 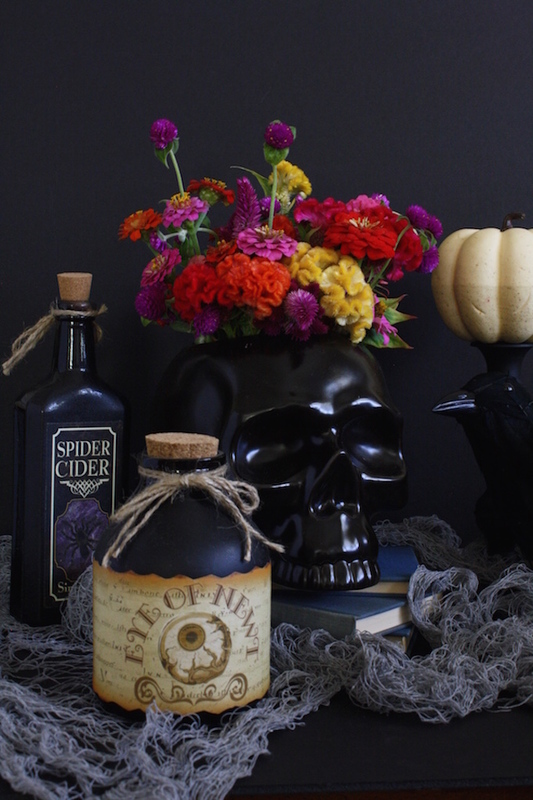 With the right container, you can boost your flower arranging skills taking them to new spooky heights. Thinking creatively about items that can hold flowers is what makes this even more fun. I picked up this skull cookie jar from Target last season, but I saw the exact same one this year. 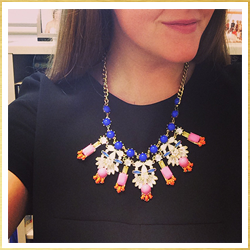 There are others floating around out there too, so just be on the lookout when you're out and about. 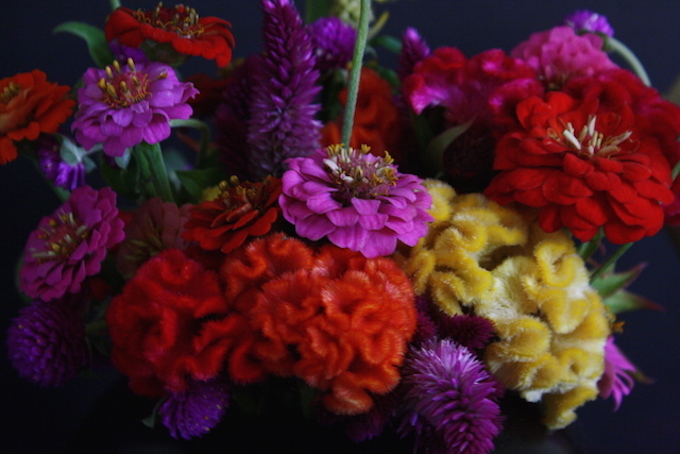 My farmer's market always has the most beautiful vibrant flowers, and when I saw these that looked like brains, I was sold! If you don't have a farmer's market at your fingertips, head to your local grocery store. You can choose several bouquets and deconstruct them to get exactly what you want. I even think roses would be fabulous in the skull. If you tightly arrange them, you can really make a big, brainy impact. 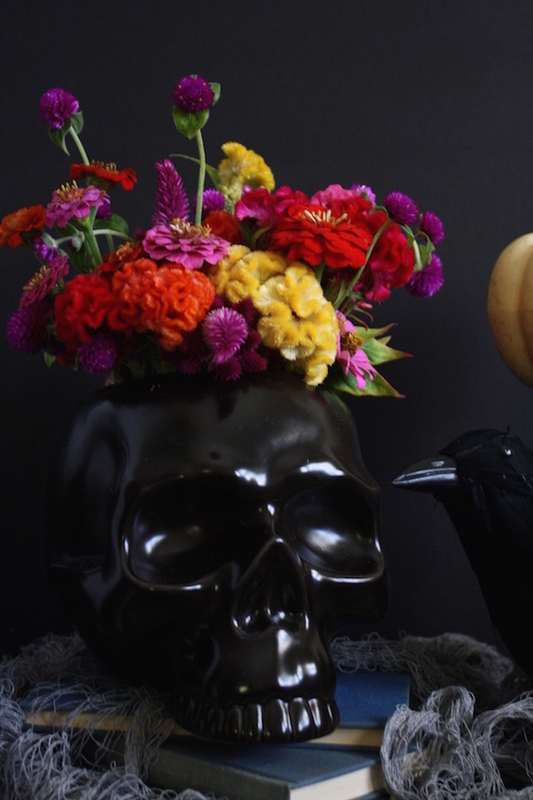 I created this creepy centerpiece for Annette Joseph's blog last year, but I've been itching to recreate it this season. I think a trip to the farmer's market is in order!